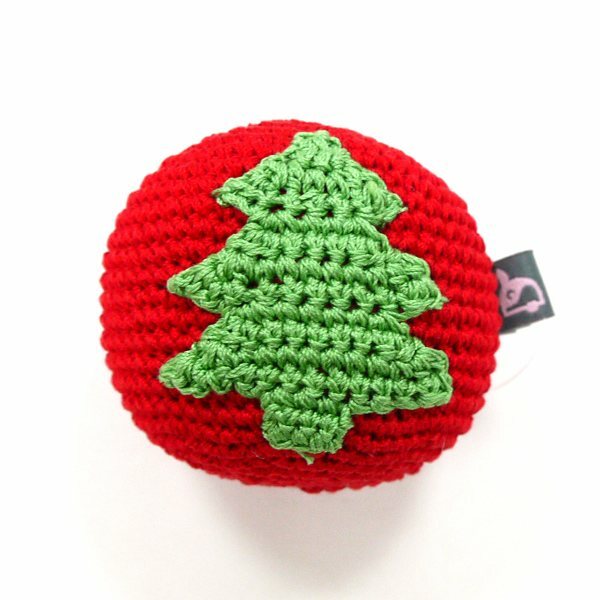 Perfect fot the holidays, the Christmas tree designed dog crochet toy ball. Handmade interlace cotton thread, designed to be flexible, durable, and improves dental hearth by removing deposits of calculus. Add all that with a squeaky inside means hours of fun! Measures about 3 inches in diameter. Perfect dog toy for Christmas gift giving!